At the finish of my latest time-limited job, I decided not to seek full-time work – unless something came up that I really wanted to do. I was lucky to have some part-time work lined up and some freelancing and my husband agreed that we’d manage. I’m lucky in that: it has not always been the case. My plan? I was going to learn to write fiction. I’d wanted to do a novel for quite some time. I was never a child storyteller – some skits written and performed with my sister to enthusiastic reviews from a tolerant grandmother – but that was all. I’d never had a writing Muse or an urge to tell stories. It was the writing of it that provoked me to fiction. My previously non-existent story-telling instinct awoke. Suddenly, I didn’t want to be restricted to relating facts. I wanted to know what it was like to attend an 18th-century book auction in Edinburgh. What was it like to walk in the Old Town when it was just the ‘Toun’ since the New Town was decades away? That were the shops, taverns, coffee houses, court rooms, stables, concerts, and all the rest of daily life in Edinburgh like? How could I enter this world without a TARDIS? I held back the time travel after my supervisor disapproved of an imaginative scene where I had two booksellers setting up for an auction. I cut the scene but a seed was sown. I had a lot of research materials that were not directly relevant to the thesis. Could I use this to make a novel? After years of failed research funding applications, part-time work, time-limited contracts, and failed job interviews (more on that here), I decided to train myself to be a novelist. I assembled a small collection of reference books. I took a weekend course on starting to write a novel offered by my local council- Edinburgh is a City of Literature, after all – which was great. Throughout 2018, I developed concepts for stories and began to write. By the end of the year I had ideas for six novels, a short story, and a children’s book. Five of the novels are based on the adventures of a young Edinburgh bookseller in Edinburgh in the early eighteenth century; the other is about a fanatic whose legacy is challenged by his enlightened granddaughter. Thousands of words put to paper, digitally at least. It was time for the next stage. 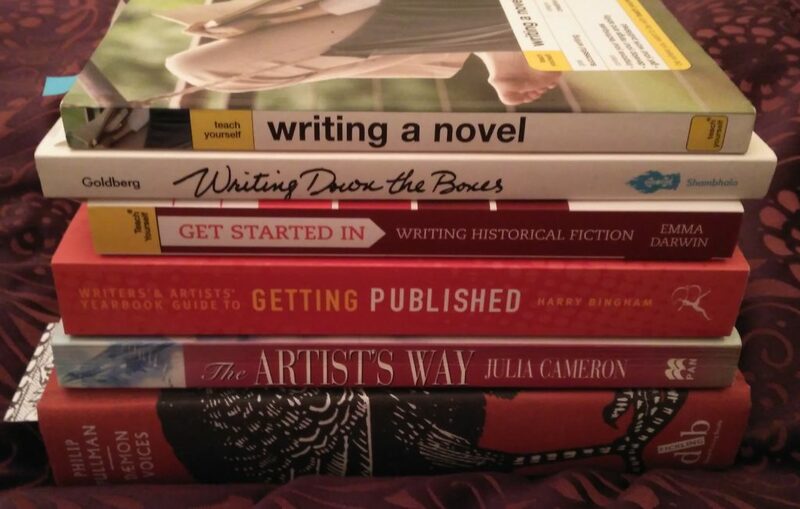 A full-time writing course was beyond my means. Part-time work means part-time pay and besides the thought of more years of formal education was off-putting. My textbooks were – and are – excellent but it was time to be brave, to let others see what I’d been working on, and to get some feedback. So I was delighted to see advertisements popping up on Twitter for a new writing course last autumn. ‘Write Here… Affordable writing courses taught by prominent authors.’ A seven-week course and they were not kidding about it being ‘affordable.’ Even my paltry income could cover the cost. I decided to apply as part of a resolution to start 2019 off properly as writer of fiction. I identified 3,000 words from The Julian Club, the first book of the Netherbow Chronicles, that I could send for my application and waited nervously to see if I would be accepted. It was a nerve-wracking wait. After years of rejection for research post-docs and on the back of a particularly soul-destroying failed job interview for a post I really fancied (and, by the way, that I would have been great at), it was a relief to get an email from Write Here founder Rufus Purdy confirming that I had a place on the course. I laughed when I saw where the class would meet: a pub that I’ve been frequenting for years. Our prominent-author tutor was the excellent Kaite Welsh. Kaite’s first novel The Wages of Sin came out last year and her next The Unquiet Heart is out this year. She is active in the writing community as a writer, editor, and critic and has all the real-world experience that we students crave. Best of all for me, she writes historical fiction set in Edinburgh. We each submitted samples of our work to the group for comment and feedback. The workshops were particularly useful to me both as a reader of different styles and genres and as a receiver of feedback. Until the course, only my husband and I had read my fiction stuff. We’re both historians. It was interesting and incredibly useful for me to find out that not everyone knows what a ‘turkey carpet’ is or that a character who has a print of William and Mary displayed on her wall could be seen to have unclear political allegiances. This has taught me to be more direct when describing things and themes and not to assume but to tell. Katie also had a one-to-one session with each member of the group to talk about the work done and future plans. Along the way I added thousands of new words to my novel, including revisions work done on the spot as the class exercises. 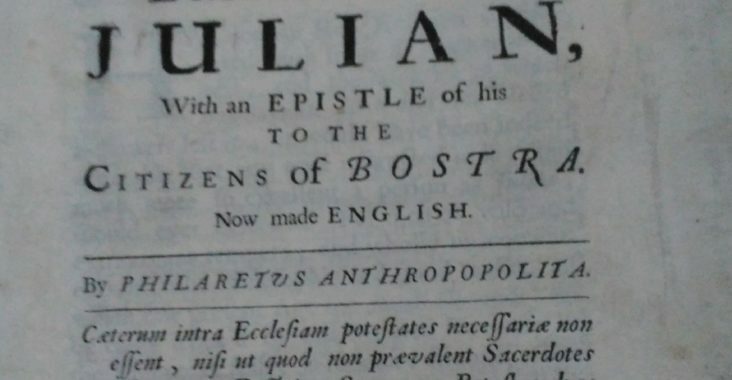 My target is now to finish The Julian Club by the end of August. I’m roughly halfway there and, yes, this blog post is pure procrastination in action. But at least it’s writing practice. If you are in Edinburgh looking to take the next step in your fiction writing, the next Write Here course starts next month.